She brings a wealth of knowledge from her background in both sales and community service. “There is nothing I love more than seeing a need and finding a way to get that need met and real estate is a perfect match for this passion,” Gail says. She and her husband Tom have lived in Colorado Springs since 2006 having moved here from California. Both are originally from Wisconsin. They raised 3 great kids and now are concentrating on a new season of life where they are in the process of a “fix-and-flip” home in the downtown area of Colorado Springs. Gail has been off and running since she began her real estate journey. She chooses to find joy in whatever corner she is presently in and brings that into her real estate relationships. 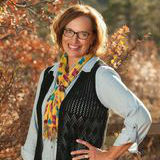 We were in fantastic hands with Gail Wahl as our buying agent for our new home! She was very supportive of us with our first time buying experience and was very knowledgeable about the local area. We were showed many homes until we found exactly the right one for our family with punctuality and professionalism at all times. Everything was explained in its entirety and every single piece of paper from end-to-end was covered. She was really a great person to work with and would absolutely recommend her to friends and family. If you are looking for a home, Gail will take amazing care of you! We used Gail to sell our home and buy/build a new home. We received over asking price and closed in under a month! Gail helped us buy a new lot and walked with us through the demands of building a new home. She is incredibly responsive, desires what is best for her clients and does business with the utmost integrity - plus she is fun to work with! We would absolutely recommend Gail. Working with Gail was by far the most pleasurable, easy and satisfactory real estate experience I have had. If I could give her 10 stars I would! She’s very knowledgeable about the El Paso county market, was very accommodating to my schedule and was able to help me get the first house I put an offer on. Don’t hesitate to work with this fine agency. Gail and the team at Steel Team were invaluable in helping us find our home amidst the many houses we looked at. The market here in the Springs was challenging, especially for first-time homebuyers but Gail continued to encourage us while helping to steer us toward what was practical and feasible at our price point. Thanks so much! Gail did an amazing job walking through not one, but two listings and closings, at the same time. As with all home sells, there were a number of complicated issues that came up, and Gail was always available, communicative, and professional. If she didn't know the answer, she immediately called experts and got the right information. She was a pleasure to work with, and always had a smile on her face! Gail went above and beyond helping me sell my home. She always kept me informed in the process where we were and what needed to happen next. I would highly recommend Steel Team Properties. Gail did such an excellent job of finding, scheduling and showing homes during our hunt. We had all sorts of interesting hiccups along our hunt, as well as some unique parameters around our search criteria. Gail helped us to navigate them all and was so gracious throughout! We would highly recommend her skills, insight, knowledge, and incredible work-ethic to anyone! Thank you, Gail, for helping us find our lovely little nest! I'm a young, very frugal and picky first time home buyer. I'm basically every realtors worst nightmare because I don't want to spend a lot and I don't really know what I'm looking for other than a house for a good deal that I can flip but also live in. I'm not easy to deal with but not once did Gail complain. If she didn't know something I knew she was going to find out. She helped me land the perfect home. Not only that but the day I closed on my house she was over helping me paint it. How many realtors care that much?!? She does her homework, responds quickly, and hustles. She didn't give me fake answers, she didn't try and convince me to buy a house out of my price range, she just encouraged me. She's an awesome realtor and an even better human being. Gail made us feel like she truly cares about our experience and our situation. She brings such a human touch while effectively explaining her services and how she operates. Meeting her felt like meeting a friend for the first time and gave me confidence that we would be in good hands with her. This was my first home buying experience and, as crazy as the market is, I thought it would be a difficult process. Gail and Barb made the entire experience so easy! They are so detail oriented, knowledgeable, and on top of the market that everything went smoothly and quickly and I never had to worry about a thing. I would absolutely recommend working with them to buy a home as they helped make my dream come true! I highly recommend Dorothy and Gail! I had multiple agents evaluate and price my house, but Blue Picket Realty came in and did the most thorough market analysis and inspection free! They made recommendation on what to do before listing to maximize value. They further added staging accessories throughout the house that beautifully enhanced its appearance to a buyer. Within two weeks, I had well over 15 showings and then sold at asking price. I received all required documents via email and digitally signed all on-line making the whole process so easy. At closing, they were present to ensure all documents were accurate before signing. Dorothy and Gail are expert realtors! Dorothy and Gail are truly exceptional, trustworthy and dependable. Also, Dorothy's husband Mark does a great job taking pictures of your house and we were told, by the buyers, that the pictures were what brought them to our house. We were delighted to work with Dorothy and Gail and we highly recommend them. Thank you ladies!